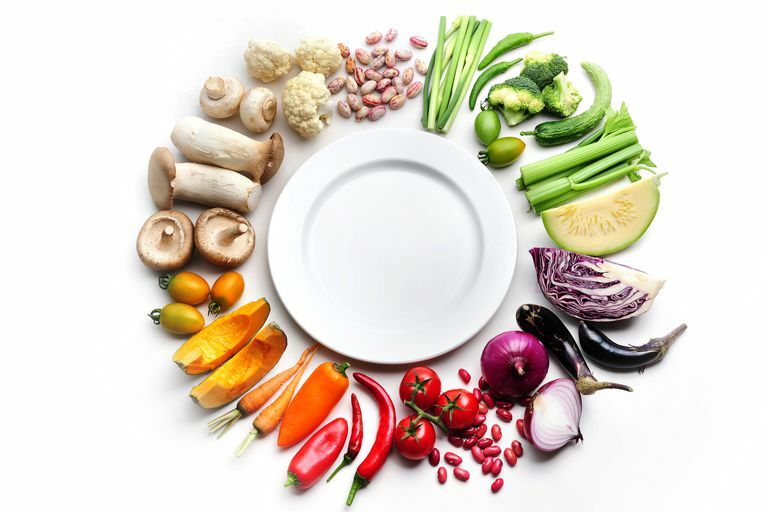 For those who have autoimmune thyroid conditions such as Hashimoto's disease and Graves' disease, the Paleo diet has been touted as a lifestyle approach to modifying the effects of the illness. But, while there are certainly some advantageous features of the Paleo style of eating, evidence regarding its benefits is unclear. Experts warn that some aspects of the Paleo diet—namely, recommendations to limit salt and dairy—can be harmful to your thyroid hormone function, especially if you have thyroid disease. While reducing salt intake or cutting back on some dairy could have benefits for health and weight loss, excessively low amounts can be problematic, impacting both iodine levels and, subsequently, thyroid hormone levels. Iodine is a raw material that is essential for the production of thyroid hormone by the thyroid gland. Iodine deficiency is linked to hypothyroidism, thyroid enlargement, and, interestingly, hyperthyroidism. A goiter, which is an enlarged but low-functioning thyroid, can develop as a result of excessive TSH, which is produced in response to low thyroid hormone levels. Worldwide, table salt and dairy are the largest sources of iodine in one's diet. And that is why Paleo and other caveman-style diets can pose a concern. With these foods essentially eliminated on these plans, it's very likely that someone could drastically lower their overall iodine intake, resulting in the above concerns. Though iodine deficiency was previously thought to be eliminated in many countries, including the United States (where most table salt is iodized), low levels of iodine are being noted. While there is an idea that attempts to replicate the diet of our ancestors should be healthy, researchers have found that changes in agriculture and human metabolic requirements have increased our need for iodine in comparison to the needs of our ancestors, possibly making a caveman-type diet harmful. At the other end of the spectrum, excessive iodine intake—both severe and moderate—is also associated with hypothyroidism and goiter, and with worsening of Hashimoto's autoimmune thyroid disease. Researchers in Sweden studied the effects of the Paleo style diet on iodine levels. In the study, healthy women were divided into two groups that either ate a modified Paleo diet or a Nordic Nutrition (NNR) guidelines-based diet over a two-year period. The Paleo dieters ate a high-protein, high-fat, low-carbohydrate diet focusing on lean meat, fish, fruits and vegetables, eggs, and nuts. They excluded all gluten, grains, beans, refined foods, sugar, salt, and sodas. Both groups had equivalent baseline iodine levels before the study began. After two years the Paleo group's iodine levels decreased significantly, while the NNR group maintained the same iodine levels throughout the study. In addition, the Paleo group had higher levels of thyroid stimulating hormone (TSH) after two years and decreased free triiodothyronine (FT3) after six months, while those in the Nordic diet group did not experience any changes in their thyroid hormones. Elevated TSH levels indicate that the body is trying to increase thyroid hormone levels, while FT3 is one of the thyroid hormones. These results suggest that the diet's effect on iodine deficiency began to have an impact on thyroid hormones. Modified Paleo diets can be healthy, may lower inflammation, and may help with weight loss. You should, however, ensure that you are getting enough iodine. If you eliminate iodized salt and dairy products from your diet, you may want to make sure that you are taking a multivitamin that includes iodine, or include some iodine-rich foods in your diet. The Paleo diet has some advantages in that the emphasis is on foods that are not processed. However, there are some concerns for people who have certain underlying conditions, such as thyroid disease. If you are planning on starting a new diet, you should consult with your doctor or a dietician first to ensure that the diet is right for you. Kopp W. Nutrition, evolution and thyroid hormone levels - a link to iodine deficiency disorders? Med Hypotheses. 2004;62(6):871-5. Manousou S, Stål M, Larsson C, et al. A Paleolithic-type diet results in iodine deficiency: a 2-year randomized trial in postmenopausal obese women. Eur J Clin Nutr. 2018 Jan;72(1):124-129. doi: 10.1038/ejcn.2017.134. Epub 2017 Sep 13.